This guide was created by Propel Nonprofits and Springboard for the Arts. Both organizations are fiscal sponsors. As fiscal sponsorship continues to become a more widely used tool for charitable impact, it is important that 501(c)(3) organizations acting as a fiscal sponsor are doing it right. Board members of sponsoring organizations must fully understand the role the organization is playing, its legal responsibilities and possible risks, and how to be a good steward and partner to its sponsored projects. Fiscal sponsorship, at its core, is when a nonprofit organization extends its tax-exempt status to select groups engaged in activities related to the organization’s mission. Most often, fiscal sponsorship is used by organizations, individuals, or collaborations who are doing charitable work but who want an alternative to becoming a 501(c)(3) organization with the IRS. In a fiscal sponsorship arrangement, the sponsor accepts tax deductible donations and grants on behalf of the sponsored project/organization. The sponsor accepts responsibility for the use of those funds and ensures their application toward charitable purposes, along with any additional donor restrictions. To ensure this is not merely a pass-through of charitable dollars from the 501(c)(3) to the project, the IRS requires that the sponsor have “complete discretion and control” over the funds. Fiscal sponsors often offer additional services and supports to their sponsored projects; the range of services provided varies by sponsor. Most fiscal sponsors charge sponsored projects a fee to offset the additional cost. Generally, that fee is somewhere between 5%-10% of all funds held on behalf of the sponsored group. If you have a discernible fiscal sponsorship program or line of work, it will be quite evident. But, sometimes nonprofits act as a fiscal sponsor without any stated intent of doing so. This is more common than you’d think. Nonprofits have relationships with people or organizations that have great ideas and develop projects that are closely aligned with an organization’s mission; since nonprofit leaders want to help in whatever way they can, they sometimes develop an ad hoc fiscal sponsorship arrangement. These fiscal sponsorship relationships are arranged and as time passes and staff change, it’s easy to lose track of the boundaries between the project and the sponsor. This is especially true if the sponsorship isn’t periodically renewed or revisited. So how do you know if your organization is acting as a fiscal sponsor? If your organization is holding money separately from your operating funds for a program or organization whose director or leader has a considerable degree of autonomy, sometimes separate from your nonprofit’s organizational structure, it is likely you are acting as a fiscal sponsor. If you think this may the case, it is important you work with an expert to ensure you are following legal requirements and best practices. Risks: What Could Go Wrong? Liability – Fiscal sponsorship is putting your organization’s 501(c)(3) on the line in order to facilitate another project. This isn’t to say that it shouldn’t be done. Sponsorship can be an empowering tool that can help get projects off the ground that otherwise wouldn’t make it. But it does mean that the relationship needs to be carefully considered. Pass-through – If a fiscal sponsor does not institute proper oversight and control mechanisms, the relationship could be seen as nothing more than a pass-through or conduit, which will invalidate the role of the sponsor and can lead to loss of the sponsor’s tax-exempt status. Reputation – By connecting itself to a project over which the sponsoring organization might not have daily oversight, the sponsoring organization could be putting its reputation on the line. It’s important that both parties communicate openly and regularly to avoid the risk of the fiscally sponsored project engaging in work that is — to their knowledge or not — unethical, immoral, or illegal. Lobbying – Fiscally sponsored projects need to obey the same restrictions as any 501(c)(3). This means that they must be charitable in purpose, and not engaged substantially in any political activities, like lobbying for specific candidates or legislation. Mission misalignment – It’s possible that the fiscally sponsored group’s mission will shift. Always be knowledgeable of what activities your sponsored projects are undertaking to ensure ongoing mission alignment. Operational/administrative/financial – By acting as a sponsor you are putting additional responsibilities on your staff and systems. Your organization must be fully qualified to act on these additional responsibilities or you run the risk of improper, even illegal, financial and relationship management. Are we ok putting our organization’s 501(c)(3) status on the line to do this work? Is offering fiscal sponsorship truly aligned with the mission, vision, and values of our nonprofit or are we drifting away from our stated mission in order to sponsor a project/organization? Why are we doing this? 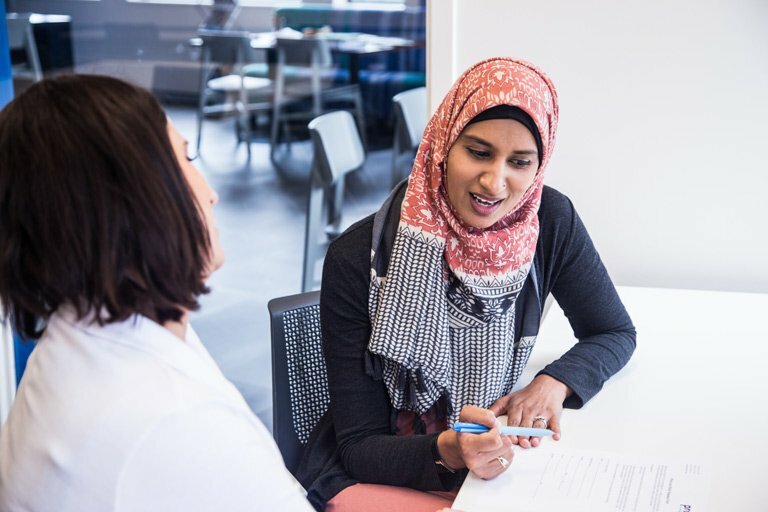 Does it make sense to offer other forms of support instead (contract work, partnership, etc.)? Are we doing this for the right reasons? Do we have the capacity to take on the extra administrative work and to exercise discretion and control over funding? Do we have the expertise on staff to be a successful fiscal sponsor? Is our board and staff knowledgeable enough to ensure we’re operating our program according to IRS guidelines and best practices? What would happen to this project/organization if we decide not to be a sponsor? Are there already existing sponsors who could take on this role? What is our relationship with the sponsored project/organization’s funders or other involved parties? Do we have any conflicts of interest that need to be reviewed? Should our organization solicit donations for our fiscally sponsored project(s)? Do we know how to account for and be transparent with funds being held for our fiscally sponsored projects on our organization’s financials, both internal and external? Under what circumstances do we terminate a fiscal sponsorship relationship and are we comfortable doing so? Do we fully understand the requirements and implications of the model(s) of sponsorship we are offering? Any project/organization that you fiscally sponsor must be nonprofit/charitable in nature, not engaged in anything that would endanger your own 501(c)(3) status, and be doing work that is in line with your own mission statement. Beyond that, you can elect to sponsor based on viability, organizational capacity, or any additional factors you elect to consider. You’ll want to be very clear with potential projects what you’re basing your decision on and how their work fits into the organization as a whole. When acting as a fiscal sponsor, it is important to understand what model of sponsorship you are providing. There are several models of fiscal sponsorship that an organization may follow. These models are outlined in Fiscal Sponsorship: 6 Ways to Do It Right by Gregory L. Colvin. Each model is administered differently so understanding and following best practices for your model is integral to being a sound fiscal sponsor. Too often, sponsors create hybrid models that are improper uses of fiscal sponsorship. A contract is key to making sure your fiscal sponsorship operates effectively and communication between sponsor and sponsee remains clear. 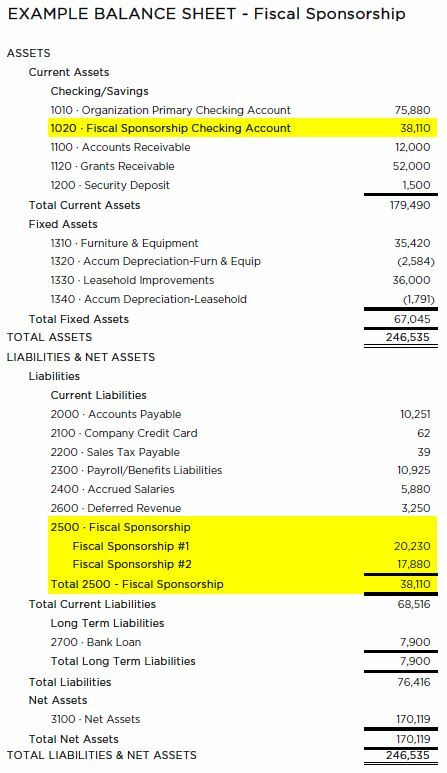 This piece of the fiscal sponsorship relationship is absolutely critical. While specific elements will vary depending on the type of sponsorship put in place, all good contracts will spell out the nature and term of the relationship, including model of fiscal sponsorship, ownership of intellectual property and dispute/indemnification clauses, list any fees charged, and outline the process for holding and disbursing funds. It should also have an “out clause” stating under what conditions either party can end the relationship and how remaining funds will be handled should that occur. All contracts must be signed and countersigned by both parties. Having your contract reviewed by an attorney is an essential step for any organization acting as a fiscal sponsor. Depending on whether you’re establishing one or a few individual sponsorships, or a formalized fiscal sponsorship program, your application and approval process will look different. Under all circumstances, though, the process for reviewing sponsorship applications should include an element of board participation. Those board members involved can report back to the full board on any new projects, concerns with the program, or questions that deserve full deliberation. You should also have clear criteria on when and why you would bring on a new project for sponsorship. The most fundamental aspect of fiscal sponsorship is ensuring that you are holding the right amount of funds for the project and that those funds are readily available. It is ultimately the responsibility of the board of directors of the sponsoring organization to ensure these funds are being properly accounted for and are not being used to supplement the sponsoring organization’s cash flow. While this can be reflected on an organization’s financials in more than one way, our example here (see attached illustration) showcases that one of the simplest checks for this model that a board can exercise is ensuring that fiscally sponsored assets and liabilities zero out on the balance sheet. Additional best practices include holding all fiscally sponsored project funds in a separate banking account, keeping it separate from your programming and operations in your financials, and keeping clear operational records to supplement and support your financial documents. It is also important to ensure you accurately reflect the fiscal sponsorship relationship on your audit and IRS Form 990. The best way to do this is to hire a Certified Public Accountant (CPA) or firm that has experience in fiscal sponsorship and knows which practical steps to take in order to adequately test and reflect the relationship. Whether you’ve got a full fiscal sponsorship program, an individual sponsee, or a handful of sponsored projects, the process of auditing them will be similar. Fiscal sponsorship is an important and useful tool for the charitable community. As fiscal sponsorship becomes more prevalent, it is increasingly important that sponsoring organizations follow best practice guidelines. While this document provides a resource for organizations acting as fiscal sponsors, it is up to each organization to decide if they should act as a fiscal sponsor and, if so, do it right. Fiscal Sponsorship: 6 Ways to Do It Right is a must-read for any organization wanting to act as a fiscal sponsor. This book, written by Gregory L. Colvin, Senior Council at Adler & Colvin nonprofit law firm, describes 6 models of fiscal sponsorship that the IRS has approved and accepted. Fiscal Sponsorship: A Balanced Overview is a comprehensive article in Nonprofit Quarterly from 2016 that describes many of the concepts we’ve outlined here in greater depth. The National Network of Fiscal Sponsors (NNFS) is a membership organization that promotes the understanding and professional practice of fiscal sponsorship and has produced best practice guidelines for Model A and Model C fiscal sponsors. Propel Nonprofits strengthens the community by investing capital and expertise in nonprofits. The organization works with nonprofits in all fields of service by offering loans, training, and financial management advice and resources to help organizations address unexpected events, finance new opportunities, and realize strategic goals. Propel Nonprofits is also a leader in the nonprofit sector, with research and reports on issues and topics that impact that sustainability and effectiveness of nonprofit organizations. Propel Nonprofits delivers fiscal sponsorship to new organizations or projects by providing expert guidance, training, and support. Get your nonprofit off to a strong start with Propel as a partner.